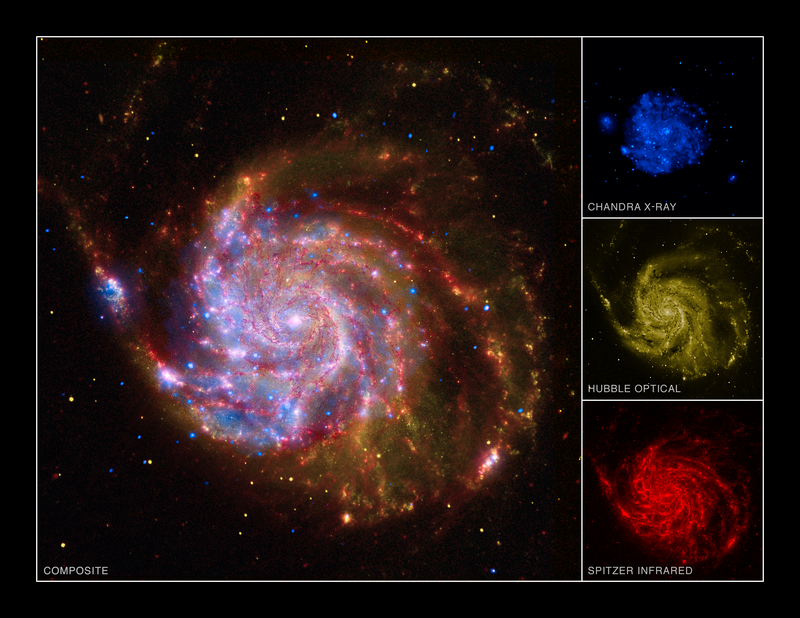 This image of the spiral galaxy Messier 101 (M101) is a composite of data from NASA's Chandra X-ray Observatory, the Hubble Space Telescope, and the Spitzer Space Telescope. The colors correspond to the following wavelengths: The X-rays detected by Chandra are colored blue. Sources of X-rays include million-degree gas, the debris from exploded stars, and material zooming around black holes and neutron stars. 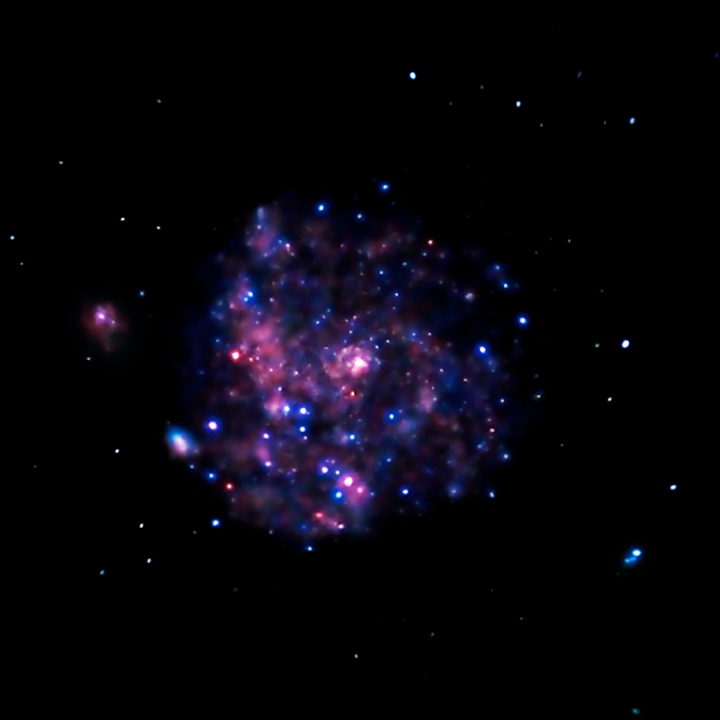 The red color shows Spitzer's view in infrared light. It highlights the heat emitted by dust lanes in the galaxy where stars can form. Finally, the yellow coloring is visible light data from Hubble. Most of this light comes from stars, and they trace the same spiral structure as the dust lanes. M101 is a face-on spiral galaxy about 22 million light years away in the constellation Ursa Major. It is similar to the Milky Way galaxy in many ways, but is larger. The new "Great Observatories" composite image of M101 was distributed to over 100 planetariums, museums, nature centers, and schools across the country in conjunction with Galileo's birthday on February 15. The year 2009 marks the 400th anniversary of Galileo's telescope and has been designated the International Year of Astronomy to celebrate this historic anniversary. Coordinates (J2000) RA 14h 03m 13s | Dec +54° 20´ 53"